This is the third Zonda of the 760 series. 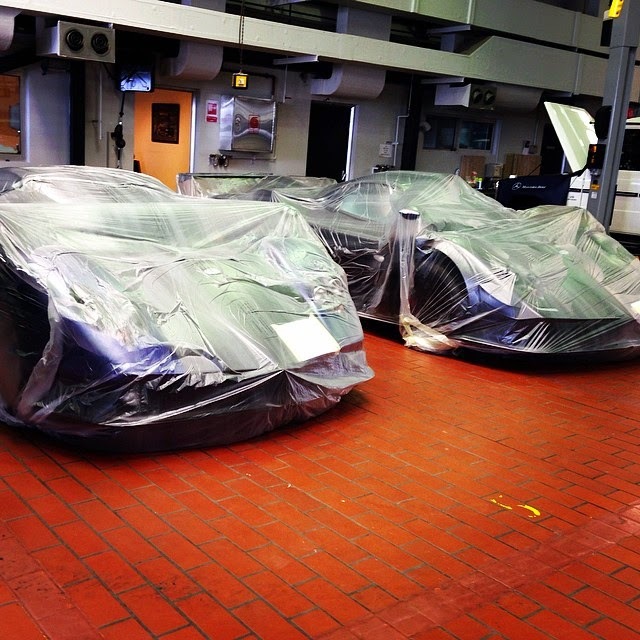 The production of this car started around November 2013, I remember I spotted some parts of the car and the chassis inside the factory during a visit. 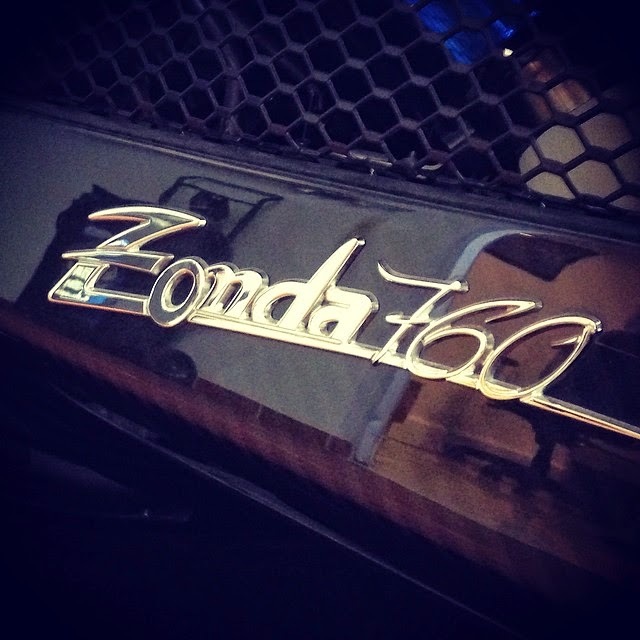 The car doesn't feature any special name which refers to owner's initials or something else, simply Zonda 760. This Zonda is quite similar to the 760RS but with some little differences. 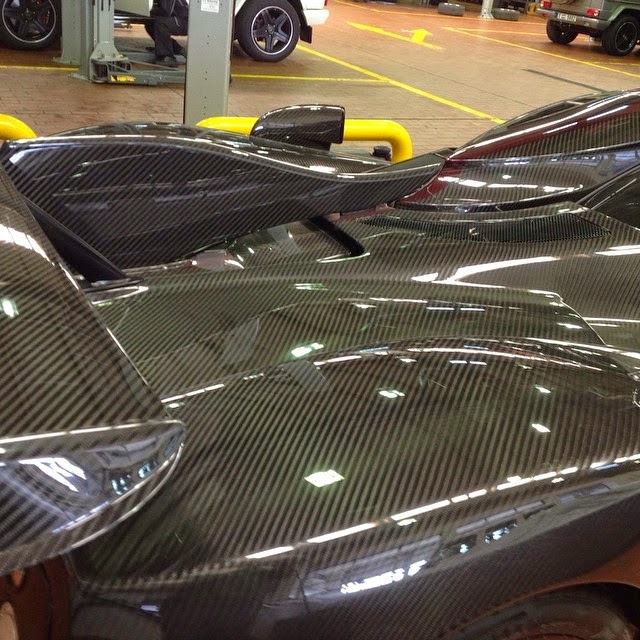 It is characterized by a fully visible carbon fiber body, with a bordeaux stripe along the center of the car. 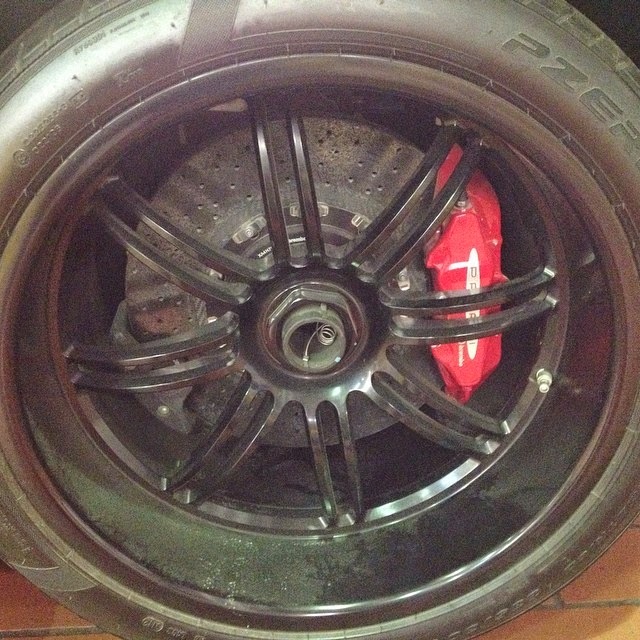 Wheels are black with red brake calipers while all the exterior and interior aluminium parts are black. The car is left hand drive and the cockpit configuration isn't well known, from the pictures is possible to notice the black alcantara but not the colour seats. The car is equipped with sequential gearbox like the 760RS. The car was spotted the first time during August inside a famous Mercedes dealer garage in Dubai, where the car is registered. It was pictured while it was parked next to a very special Zonda F Roadster, probably both cars belong to the same owner.